Many questions linger regarding the process and motivations of Lincoln’s burial in Springfield. And yet, despite the widespread fascination surrounding Abraham Lincoln’s death, many questions linger regarding the process and motivations of his burial in Springfield. Among those are the following: Why did the community, only half of which approved of his presidency, rally behind the city’s efforts to bring his remains home for interment? Why, after promised his bones, were local leaders and residents initially insistent on laying Lincoln’s body near the city’s center and raising a monument over it? 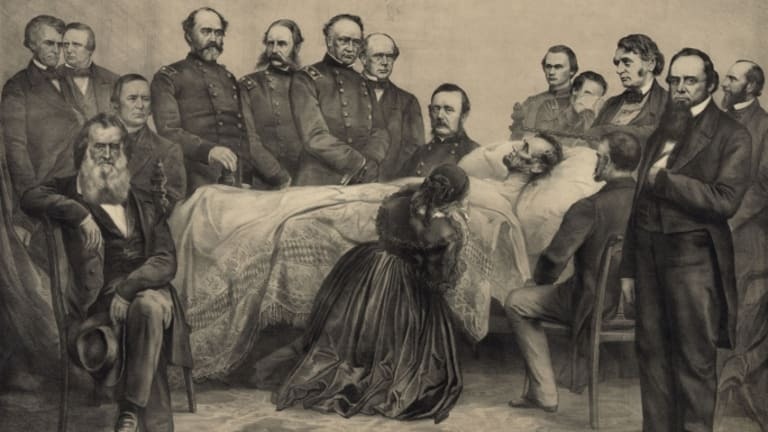 And why, after the funeral, did Mary Lincoln continue to threaten removal of her dead husband’s corpse outside the region, forcing the community to accept Oak Ridge Cemetery as Abraham Lincoln’s final resting place? The answers to these queries reveal that Lincoln’s assassination coincided with uncertainty about Springfield’s economic future, particularly the city’s efforts to preserve its state capital designation. The president’s death provided this community with a unique opportunity to reverse its precarious situation: Lincoln could save Springfield in death, just as he had helped save the Union in life. Unfortunately, for Springfield and its leaders, these lofty visions nearly lost them Lincoln’s bones altogether, perhaps leaving unresolved the fate of the martyred president’s hometown. On a calm and sunny May morning, three weeks after the most notorious assassination in American history, the body of Abraham Lincoln returned home. 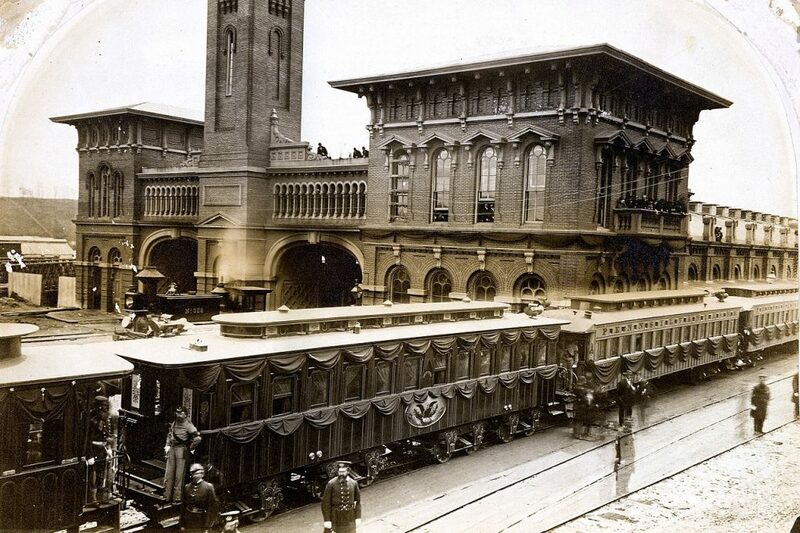 Gathered at the Chicago and Alton Railroad Depot on the third to welcome his remains back to Springfield was a somber crowd of roughly forty thousand—four times the size of the city’s 1860 population, and four hundred times the number who bade him and his family farewell in 1861. Trainloads of visitors continued pouring in the following day, and it was estimated 150,000 people were in town for the funeral services. Springfield was where Lincoln owned his only home and raised a family, a place, he professed before departing in 1861, “I owe all that I have.” The city has since associated its history with the legacy of America’s sixteenth president, and nearly one million tourists descend on the Illinois capital annually to visit Lincoln’s tomb and other landmarks commemorating the man. Lincoln is one of the most iconic figures in American history, but as John Carroll Power’s quote demonstrates, his legacy in Springfield—past and present—is without parallel. In reality, Lincoln’s relationship with the place he called home before his assassination was significantly more complex than the one portrayed today. For one, he was far from the townspeople’s overwhelming choice for the nation’s highest elected office. Of the city’s 2,721 ballots cast during the 1860 presidential election, Lincoln bested fellow Illinoisan Stephen A. Douglas by a mere sixty-nine votes, barely 51 percent of the town’s popular vote. He won by a smaller margin in 1864—ten votes—against George B. McClellan, a former U.S. Army general with relatively few ties to the Prairie State. Lincoln had even less support outside the city limits, losing the popular vote each time in his own Sangamon County. And though Lincoln won reelection in 1864, the community remained split over his reputation in the months before his untimely death, even within his own Republican Party. Not only that, Springfield at times exemplified the northern political discord of the Civil War era. As the state capital, the city was a political battleground where the fate of Illinois’s continued wartime participation was repeatedly contested. The war’s denouement in early April 1865 gradually began the process of uniting the citizenry. Sarah Gregg, “head matron” of the Camp Butler hospital six miles northeast of the city noted in her April 3 journal entry that the weather’s gloom “is dispelled by the news that Richmond and Petersburg were taken by Grant’s army. The cannon are booming in Springfield and the soldiers running around camp and cheering as though they were crazy, with the flags flying at every headquarters.” From the governor’s mansion, Richard Oglesby explained that the secretary of war’s dispatch “has electrified our people” as residents began “fireing salutes over the restoration of the Union, and the hearts of our people are throbing in unison with the reverberation of Grants Artillery.” Celebrations continued through the evening, and city leaders scheduled a formal parade for April 10 to mark the occasion. Or so one might assume. Not everyone celebrated freely, in fact. As president and commander in chief, Lincoln received a sizable share of credit for ending the war. There were therefore consequences for anyone in Springfield who had been critical of the administration’s handling of the conflict at every step, most notably the Democratic State Register. Furthermore, with a city election scheduled for the following day, wartime partisanship ultimately spilled into the Independence Day atmosphere generated by Lee’s surrender and split the postparade celebrations into separate affairs, with Republicans congregating in front of the statehouse and Democrats moving their festivities to the courthouse. Making matters worse, a group of soldiers tore down the speakers’ platform at the Democratic site and used the wood for a bonfire. Not even mutual satisfaction over the war’s ending could overcome the profound partisanship endured in the previous four years of war. This collective mood strengthened in the ensuing days and weeks. Democratic mayor J. S. Vredenburgh ordered an emergency session of the city council the morning of the fifteenth, underlining in his notice, “We of this City have special cause to mourn, for he was one of us.” Not long after, a city alderman proposed a civic meeting on the steps of the Capitol building at noon “for the purpose of arranging to make the sorrowful occasion a proper one.” In addition to citizens at large, the invitation specifically requested the presence of some of the city’s most recognized and influential individuals: well-known Springfieldians with ties to all branches of Illinois government; residents with national political experience, including local Democrats who had campaigned against Lincoln; Springfield’s business elite; and the city’s top attorneys, counting all three of Lincoln’s former law partners. Incidentally, this effort was already under way in the nation’s capital. Governor Richard Oglesby and a delegation of Illinois politicians arrived in Washington, D.C., on April 14 to personally congratulate their fellow Illinoisan occupying the White House for the rebellion’s recent shattering setbacks. Before the Springfield resolutions reached them, members of the state’s political leadership met in the Washington chambers of former Illinois governor and current U.S. senator Richard Yates later that morning and likewise concluded to place the remains in “the Capital of the State, so long his residence.” Unable to speak with Mary Lincoln, who remained secluded in her White House room and refused to see all but a select few visitors, Oglesby and a small Illinois faction secured a meeting with Secretary of War Edwin Stanton and presented their case for a Springfield burial. 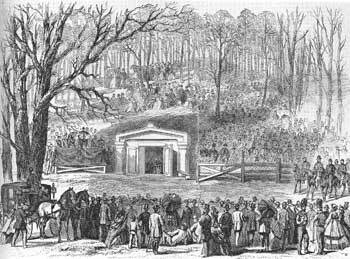 Stanton relayed the request to Mary Lincoln, she ultimately approved, and Oglesby promptly wired the satisfactory news back to city leaders along with word that the funeral train carrying Lincoln’s casket would arrive in Springfield on May 3 after a journey closely retracing the inaugural train’s path. At the moment the community learned the burial would take place in Springfield, State Register editor Edward Merritt remarked that the “Capital of Illinois . . . made elaborate preparations for the last offices of the dead. To consummate a becoming tribute of an affectionate people, money, skill, patience, labor, nothing was spared that Springfield’s love offering should be worthy of her great dead.” Thus began the course of altering Springfield’s future, even though that process would face further challenges in the weeks ahead. These remarks demonstrate that many in town—Republicans and Democrats, friends and foes of Lincoln alike—had more in mind than properly burying a fallen acquaintance. Understated was a need to promote Springfield’s reputation at a time of growing uncertainty for the city. Earlier that year, a bloc of senators in the state legislature sponsored a bill for the removal of the capital to Peoria. That bill in turn prompted similar bids from other Illinois cities. Therefore, in the three months before Lincoln’s assassination, city leaders grappled with the likelihood that the state capital would be relocated. This was a troubling, though not wholly unexpected, development for Springfield leaders. For five years, town promoters worried their community may have reached its populace peak and become stagnant, or worse, was on the verge of moving in the opposite direction; this despite an imprecise state 1865 census recording a citywide population spike by nearly 60 percent (over five thousand new residents) since 1860. The importance “town fathers” therefore placed on the appropriate location of Lincoln’s remains later that year, even though many still possessed ambivalent views toward him, took on added meaning. It also explains why the city’s political and business heads collaborated on this project due to its long-term consequences of positioning their community in an upward trajectory. Historians refer to this mid-nineteenth century trend as “boosterism,” and Lincoln’s death occurred at a time when Springfield’s fathers were considering ways to enhance their city. Boosters had a sizeable stake in community expansion and development, sometimes even investing their own time and money. Occurring throughout the frontier and Illinois, boosterism created competitive rivalries with nearby towns and cities. Lincoln was himself a part of this movement. In 1837 he aided in securing the state capital’s removal from Vandalia to Springfield. Afterward, he served as a local trustee and a state legislator with promises of advancing the city’s development. The new capital indeed experienced remarkable growth after becoming the seat of Illinois government. Its centralized location in the state made it a convenient site for conventions, associations, and various Illinois gatherings, political and otherwise. Similarly, an influx of residents and expanded transportation options—most prominently in 1854, when the Illinois Central Railroad connected Springfield to the robust Chicago market—opened new and exciting economic prospects for the largely agricultural community, so much so that one researcher concluded there was an “opportunity to grow” in 1850s Springfield. While the country lurched toward disunion, local boosters agonized over how to attract new residents while preventing current ones from moving elsewhere. In 1861, less than one decade after Springfield leaders successfully secured the transfer of a Lutheran university from nearby Hillsboro, a steady flow of weak financial contributions had put the school in a “crisis” with the probability “it will be removed from our midst.” Recurring droughts in the region likewise hurt an economy still largely tethered to agriculture. The war years similarly brought mixed results. Local businesses profited from wartime mobilization, and the opening of a munitions factory shortly after the surrender of Fort Sumter provided employment opportunities for local women and children whose husbands, fathers, and sons served in uniform. The federal government’s forced closure of the facility after only seven months of operation upset many in the community, from those who anticipated its projected value to the local economy after war’s end to those who depended on the factory’s wages to sustain their families. The war also stunted city development and growth during the four years of fighting, chiefly because of transient soldiers who vandalized and at times disrupted Springfield daily life. These circumstances—compared with other Illinois communities experiencing rapid population growth and benefiting economically from industry and business tied to the nation’s conflict—put the capital city’s fate at risk and local leaders on alert. Joking aside, the city realized the sincerity of these relocation attempts. Not long after the assembly announced the removal bill, the editor of the State Journal expressed his reassurance that property owners in town had “at last aroused from their Rip Van Winkle sleep” and set in motion a bill to incorporate the Springfield Hotel Company. “Several public spirited and wealthy individuals . . . are beginning to take pride in the prosperity of our city,” the editor cheerfully concluded, “and are willing to use their means for its advancement.” But had it come too late? This was the setting in Lincoln’s hometown before the momentous national events of that following April, and why his eventual death meant more than simply honoring the “Savior of the Union” or appeasing the town’s sense of entitlement. Lincoln’s tragic passing also brought an unintended sense of hope. The city’s fate was in jeopardy, and securing the slain president’s final resting spot might bolster Springfield’s reputation and make it an attractive option when the state legislature determined where to build the new Capitol building. And while possessing Lincoln’s remains and retaining the capital were obviously the town leaders’ preferred outcomes, the city might still bear the loss of the new statehouse only if his bones could be returned for burial. 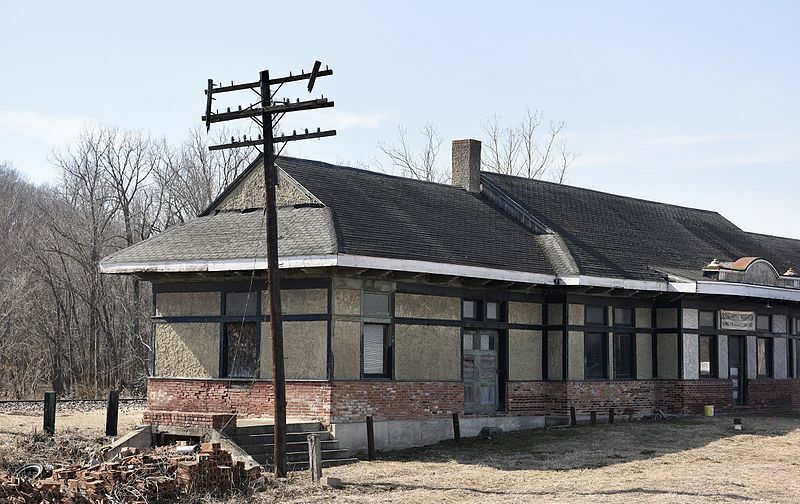 If nothing else, train passengers would not be able to avoid glimpsing a monument, and its close proximity to the railroad “would be convenient of access to visitors,” a point not lost on community boosters in their quest to draw tourism to the region. Illinois’s first two capitals, Kaskaskia and Vandalia, struggled to attract new residents after the legislature left town. To avoid a similar fate, Springfield’s fathers began associating their insecure city with the martyr Lincoln. After a committee charged with selecting the grounds for interment unanimously approved the Mather lot proposal, the community promptly raised $50,000 for the land “and other lots adjoining” while the city council appropriated an additional $20,000, primarily from bonds, to cover the funeral expenses. A local mason and bricklayer even offered to construct the vault free of charge. This most historical burial was also an opportunity to present the capital city’s attractive features while highlighting Lincoln’s deep connection to the community. In addition to the two prospective burial sites, funeral arrangement advisers created several committees charged with beautifying and appropriately attiring the town ahead of the tremendous throng expected to descend on Springfield. Without surprise, volunteers paid most attention to the former Lincoln Home and the statehouse. The latter, an edifice that state lawmakers only months earlier derided as inadequate, was strikingly adorned and “draped for the solemn occasion from foundation to dome.” As volunteers furiously labored to meet the rapid deadline, word quickly spread that many of those plans would need to be changed or scrapped altogether. As it turns out, nobody had considered where Mary Lincoln expected to see her dead husband laid to rest. The widowed First Lady was, naturally, still despondent in the wake of the assassination. 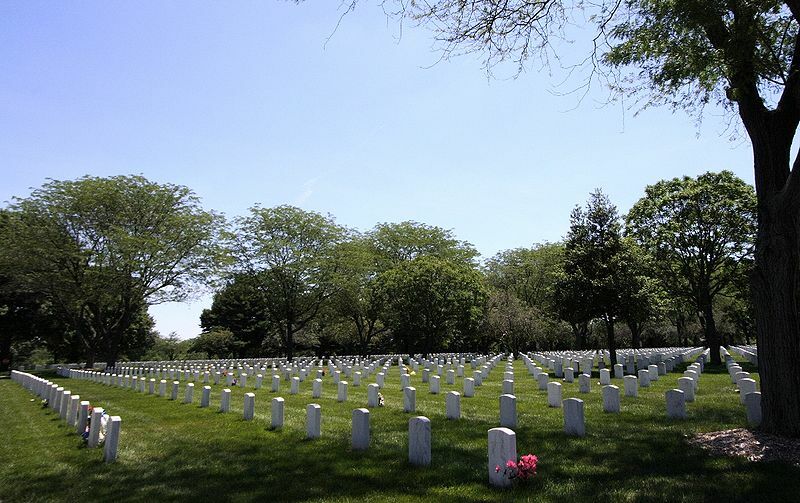 She absented herself from the planned memorial service in Washington on April 19 and again refused to leave her bed when the Funeral Train set off from the nation’s capital two days later. Despite urging from her eldest son and others, Mary had no desire “to go back to Springfield.” As a result, Mary initially preferred to see her deceased husband buried in either one of two places: the empty crypt prepared for George Washington’s body located in the U.S. Capitol, or somewhere in Chicago, her next home after departing the White House. She granted a Springfield burial after reassurances from city leaders there that the remains of their son Willie, who died in the White House in February 1862, would accompany the traveling party and be interred there as well. When she settled on Springfield, Mary Lincoln’s main concern was that her immediate family—her husband, herself, and her sons—would eventually be buried together. She nearly reversed her decision upon discovering Springfield leaders intended to place Lincoln’s corpse in a specially designed tomb in the town’s center. Mary Lincoln understood that the vault (and the eventual monument raised over it) would contain only her husband’s remains, thus separated from her and their children. This was, of course, the design of Springfield’s leaders. What others have referred to as the “Battle of the Gravesite” was a contest over Lincoln’s body and, consequently, the rights to his legacy. Residents believed they had a civic right to the martyr’s remains, particularly since they had molded the man into the virtuous icon he would become in death. Mary countered that, as widow, she should ultimately determine the final resting place of her dead spouse, a socially accepted norm at the time. Thus ensued the contest over Abraham Lincoln’s bones. Five days before the funeral train’s scheduled arrival in Springfield, Mary enlisted the help of her closest family and friends to make her intentions clear. From Washington, D.C., her cousin John B. S. Todd sent a telegraph to John T. Stuart, de facto head of the Monument Association, expressing her fixed determination “that the remains of the President shall be deposited in Oak Ridge Cemetery, and nowhere else—see that this is done.” Todd sent a follow-up warning to Stuart two days later with nearly the same wording and, for good measure, sent another message to Clark M. Smith, Springfield storeowner and Mary’s brother-in-law, reiterating her demand “that the remains of the President are placed in the vault of Oak Ridge Cemetery and nowhere else.” She also coaxed Anson G. Henry, her personal physician and one of the few Springfield friends to stay beside her after the assassination, to write a letter echoing those sentiments as well as offering her first threat: “If her wishes and directions in regard to her Husband’s remains are not complied with, she will remove them to Chicago next June,” lining up with her planned move there. As her biographers and others have noted, Mary Lincoln refused to bow to Springfield’s male cabal masking itself as the self-professed National Lincoln Monument Association. What those same historians overlook, however, is an attempt to understand how her demands obstructed the city’s vision of a more prosperous future. Already up against a swift timeline before the funeral train’s arrival, these messages put the Monument Association in an unenviable predicament. After receiving the first telegraph, John T. Stuart replied to secretary of war Edwin Stanton on April 29 that its members “instruct me to say that the wishes of Mrs. Lincoln shall be complied with.” Burial preparations immediately shifted to Oak Ridge, but the immense number of tasks added by the location change proved impracticable. Therefore, the next day, Stuart wired back that progress on the Mather lot tomb had in fact “gone too far to be changed,” and it was best to stick with the original plans. Springfield’s newly sworn-in mayor moreover suspended “all work, and preparations in Oak Ridge Cemetery for the reception of the mortal remains of our late President Abraham Lincoln, until further orders.” This prompted the above-mentioned letter-writing campaign on Mary Lincoln’s behalf insisting that arrangements “must be changed” or the city jeopardized its chances of acquiring Lincoln’s remains at all. There seems to be a disposition at Springfield to disregard my mother’s wishes in regard to the interment. Both the temporary and final interment must take place in the Oak Ridge Cemetery. We have reasons for not wishing to use the Mather place for either purpose and we expect and demand that our wishes be consulted. But there had been no mention of the monument, so the group next conspired entombing the remains at Oak Ridge yet still raising the great memorial on the Mather spot. Its members continued collecting funds “under the impression that the proposed monument is to be public,” displayed in an open space such as a downtown area, and not in a private cemetery. Furthermore, some affluent speculators had purchased lots in the square solely to reap the financial spoils from the expected economic windfall awaiting the region. Losing out on those purported profits that the Mather location offered was too risky to consider. Therefore, the Monument Association actually determined it improper to build “a National Monument to Mr. Lincoln upon” the private grounds at Oak Ridge Cemetery. These latest developments again failed to alter Mary Lincoln’s resolve. Upon learning of this most recent scheme, Robert once more clarified he and his mother had promised Lincoln’s body to the city “on condition that if a Monument is erected by the Citizens of S[pringfield], it shall be placed on the lot. As the cemetery is the proper place for a funeral monument.” Not only did her demands force a myriad of last-minute changes to the already expedited funeral plans, but they also posed a threat to the city’s long-term goals. At the very least, the city intended to take advantage of the Mather site’s ideal setting in some capacity. Work on the downtown lot indeed resumed after the funeral, as did the Monument Association’s fund-raising efforts to solicit subscriptions from various national organizations, including U.S. soldiers and sailors, schools, religious institutions, and fraternal societies. Within a mere few days of paying their final respects to Abraham Lincoln, many in the city had convinced themselves the monument, if not the interred remains, would ultimately end up near the City Square. “Abraham Lincoln’s name is a household word, and his fame is the nation’s,” one anonymous individual claimed. Hence, the writer continued, “it would be appropriate that the Mather block be retained, and thrown open as a park, and that there the great national monument be built.” One week after the funeral, the State Registerreported, “thousands and thousands of citizens [had] visited the tomb recently erected upon the ‘Mather lot’” and overwhelmingly expressed admiration at “the beauty of the place chosen by the city authorities . . . and from whence was to arise a suitable memorial to the dead.” On May 17, the rival State Journal confirmed the Monument Association, “in accordance with the almost unanimous desire of the friends of President Lincoln,” declared its intent to build the structure “on the Mather Square . . . undoubtedly the most desirable [site] in the vicinity.” The question that remained was, could the city proceed without Mary Lincoln again discovering the Illinois capital’s aim? The long-suffering widow assumed the matter had been decided after settling in Chicago in late May, nearly three weeks following her dead husband’s burial at Oak Ridge. She soon learned otherwise on her return to the Midwest. She quickly gained a better sense of the schemes developing in Springfield that contradicted her demands. Incensed by what she learned from the Illinois newspapers, she broke her practice of having close family and friends communicate with the so-called Monument Association on her behalf. In response to the group’s apprehension over building the shrine on private rather public property, Mary wrote directly to Governor Oglesby: “My wish to have the Monument, placed over my Husband’s remains, will meet the approval of the whole civilized world.” She also gave the Monument Association a June 15 deadline to provide her a “favorable answer” of its ultimate intentions. Soon after, reports leaked that Governor Oglesby and former Illinois secretary of state Ozias M. Hatch intended to travel to Chicago and personally petition their members’ case to her, hoping to dispel the presumption that the Mather lot location appealed only to locals. Learning of their visit beforehand, however, Mary Lincoln rebuffed their presence by instead sending Robert to intercept them and conveying a note reaffirming her stance: “If I had anticipated so much trouble, in having my wishes carried out, I should have readily yielded to the wishes requests of the many and had his precious remains, in the first instance placed in the . 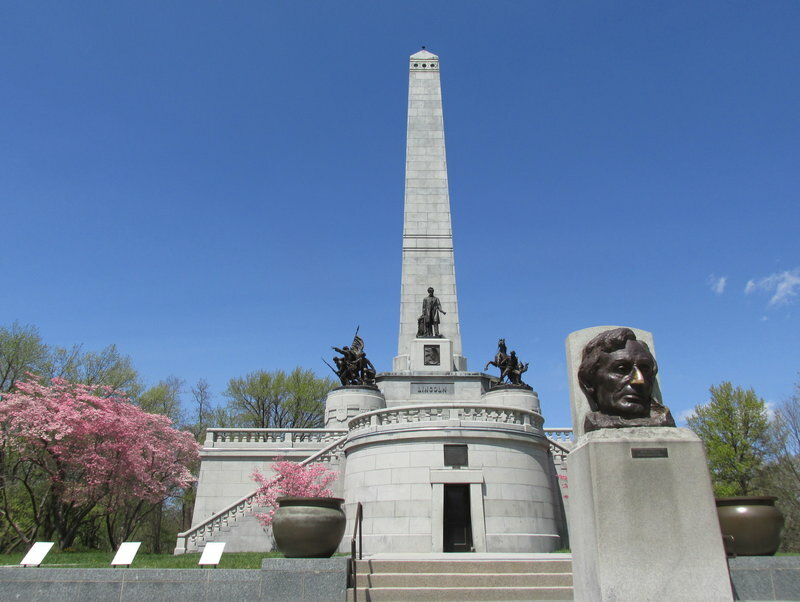 . . tomb prepared for Washington the Father of his Country and fit resting place for the immortal Savior and Martyr for Freedom.” No longer, it seems, was Chicago the obvious destination for Lincoln’s bones, but that was hardly Springfield’s main concern. 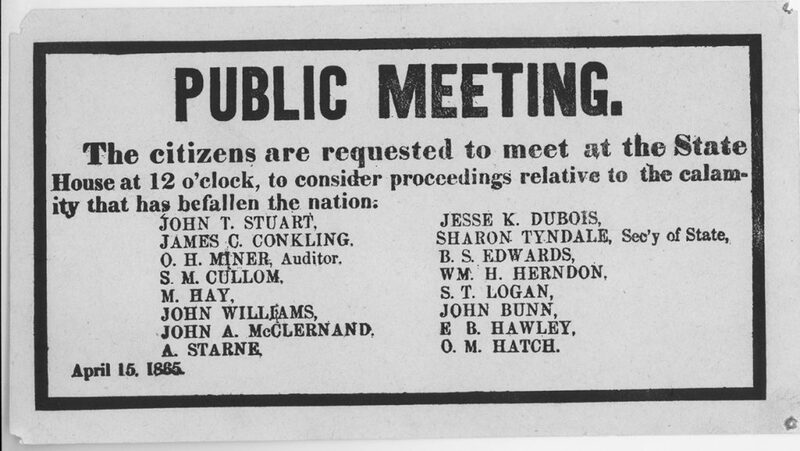 The evening before the deadline, every member of the Monument Association gathered in Springfield and voted, eight to seven, to accept Mary Lincoln’s proposal. Having few remaining options, a bare majority had “definitely decided to erect the National Monument . . . over his remains at Oak Ridge.” The seven who cast ballots against the terms—an assortment that included even some Springfield residents—likely did so as a symbolic gesture considering there was no apparent alternative option. If nothing else, they perhaps took solace knowing that Mary Lincoln received a breakdown of how each member voted. Writing on behalf of the group, John T. Stuart notified Mary Lincoln that the group had ultimately accepted her terms, as did “our citizens generally, most of them cheerfully but others reluctantly, and with many regrets.” At minimum, the State Journal concluded, Springfieldians should be satisfied “that the place on which the monument is to be erected is now definitely fixed” and hope that those “who loved Mr. Lincoln so well will continue their liberal subscriptions” to its magnificent construction. The city’s fate now hinged on this last juncture. It was here that the best, and purest, and noblest of our late American Statesmen had got his growth in public life. Here was his residence: there is his grave, and this place has become sanctified by his associations, so that it would be desecration to remove the state house from the place that was illustrated by the life and sanctified by the grave of Abraham Lincoln. One Chicago Journal correspondent’s earlier hope that Illinois’s “law-makers may for all time assemble within the shadow of his tomb” would become reality. Alternatively, the rival Chicago Tribune lamented that allocating a new statehouse in Springfield was akin to committing “the State indirectly, but firmly, to the proposition of making Springfield the permanent seat of Government.” The city had averted the misfortune of Illinois’s two previous state capitals, Kaskaskia and Vandalia. In the early twentieth century, as roads across the country improved and as more Americans acquired automobiles, tourism to national historic landmarks ballooned. Springfield benefited from this cultural transformation, especially ahead of both the centennial of Lincoln’s 1809 birth and the fiftieth anniversary of the American Civil War. 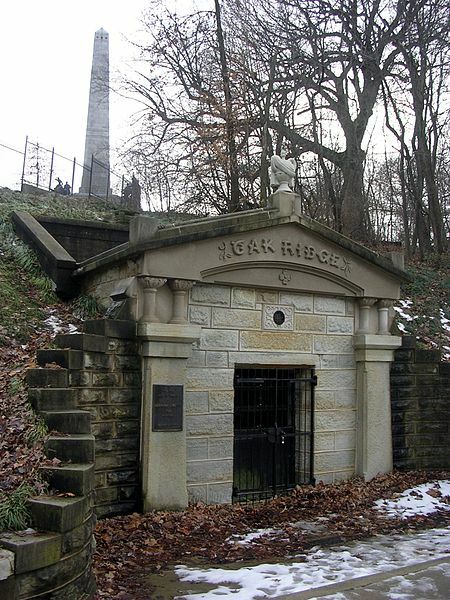 Sightseers could pay their respects at the Lincoln Tomb at Oak Ridge Cemetery and learn about the former president’s pre-White House life by visiting sites around the city associated with his name. From that point forward, the community made better efforts to link Springfield’s history with its former neighbor, an endeavor that continues to this day. And while Lincoln’s contemporaries had hoped to exploit that relationship in the Civil War’s aftermath, they nevertheless sowed the seeds for later generations to pursue that connection. At the very least, possession of Abraham Lincoln’s bones salvaged Springfield from an unknown fate. The martyr had come home. The author thanks Jonathan Earle, Sheyda Jahanbani, James Cornelius, Neil Oatsvall, and the anonymous readers for their thoughtful comments throughout the various stages of this manuscript. Credit also goes to Tricia Barbagallo for conducting research at the New York State Library on my behalf. Some of the more notable titles to appear during the 2015 commemorations included Martha Hodes’s Mourning Lincoln (New York: Yale University Press), Richard Wightman Fox’s Lincoln’s Body: A Cultural History (New York: W. W. Norton), and Terry Alford, Fortune’s Fool: The Life of John Wilkes Booth (New York: Oxford University Press). Jay Jones, “Illinois Will Relive Lincoln’s Assassination and Funeral,” Los Angeles Times, April 10, 2015, http://www.latimes.com/travel/la-tr-d-0412-lincoln-springfield-20150412-story.html; Phil Gast, “Lincoln’s Assassination: 150 Years Later,” CNN.com, April 14, 2015. http://www.cnn.com/2015/04/10/travel/feat-abraham-lincoln-assassination-150-anniversary/. Chris Dettro and John Reynolds, “Funeral Events Draw Big Crowds to Lincoln’s Hometown,” State Journal-Register, May 3, 2015, <http://www.sj-r.com/article/20150503/NEWS/150509828>; Associated Press, “Lincoln Home Economic Impact Placed at $12.7M,” State Journal-Register, April 24, 2015, <http://www.sj-r.com/article/20150424/NEWS/150429692>. James T. Hickey, “Springfield, May, 1865” Journal of the Illinois State Historical Society 58, no. 1 (Spring 1965), 33. Springfield Convention and Visitors Bureau, Visit Springfield Illinois, May 2014, <http://www.visitspringfieldillinois.com/sites/default/files/current/Springfield Factsheet.pdf>. In 2013, tourism accounted for over three thousand jobs in Sangamon County and $7.53 million in local tax revenue. “Springfield, Illinois, Tourism’s New Brand Is ‘Always Legendary,’” Exhibitor, October 2, 2014, <http://www.exhibitoronline.com/news/article.asp?ID=13981>. Paul M. Angle, “Here I Have Lived”: A History of Lincoln’s Springfield, 1821–1865 (New Brunswick, N.J.: Rutgers University Press, 1935), figures listed on pp. 253 and 287. City totals for 1864 were 1,324 for Lincoln and 1,314 for McClellan. For examples of Republican supporters in town sometimes questioning Lincoln’s actions, see Arthur C. Cole, “President Lincoln and the Illinois Radical Republicans” Mississippi Valley Historical Review 4, no. 4 (March 1918): 417–36. For context on how this sentiment compared with Democratic attitudes across the state, see Bruce Tap, “Race, Rhetoric, and Emancipation: The Election of 1862 in Illinois,” Civil War History 39, no. 2 (June 1993), 101–25. John T. Stuart to “my two beloved children,” 1886, Stuart Family Collection, Abraham Lincoln Presidential Library and Museum (hereafter cited as ALPLM); Stuart to “the Voters of the Eighth Congressional District,” August 30, 1862, Stuart-Hay Collection, ALPLM. See also Harry E. Pratt, “The Repudiation of Lincoln’s War Policy in 1862: Stuart-Swett Congressional Campaign,” Journal of the Illinois State Historical Society 24, no. 1 (1931): 129–40. Camilla A. Quinn, “Lincoln’s Springfield in the Civil War” (Western Illinois University, 1991), 71–72. “Io Triumphe!,” Daily Illinois State Journal, April 15, 1863. “Lincoln’s Home Speaks!,” Daily Illinois State Register, April 10, 1861; “The People Triumph!,” Daily Illinois State Register, November 5, 1862; “Democrats of Springfield,” Daily Illinois State Register, November 6, 1864. “The Wartime Diary of Mrs. Sarah Gregg,” April 3, 1865, Sarah Gregg Collection, ALPLM. Richard J. Oglesby to Edwin M. Stanton, April 3, 1865, Oglesby Papers, ALPLM. “Victory!,” Daily Illinois State Journal, April 10, 1865; John Carroll Power, Abraham Lincoln: His Great Funeral Cortege from Washington City to Springfield, Illinois (Springfield: Illinois Journal, 1872), 9. “The End of the Rebellion,” Daily Illinois State Journal, April 11, 1865; “An Illinois Farmer during the Civil War: Extracts from the Journal of John Edward Young, 1859–66” Journal of the Illinois State Historical Society 26, no. 1/2 (1933), 130; Octavia Roberts Corneau, ed., “A Girl in the Sixties: Excerpts from the Journal of Anna Ridgely (Mrs. James L. Hudson),” Journal of the Illinois State Historical Society 22, no. 3 (1929), 442; David Donald, Lincoln’s Herndon (New York: Alfred A. Knopf, 1948), 164. “The End of the Rebellion,”; Quinn, “Lincoln’s Springfield,” 84. “From Springfield,” Chicago Tribune, April 17, 1865; Angle, “Here I Have Lived,” 290. Corneau, “A Girl in the Sixties,” 443. Wartime Diary, April 16, 1865, Gregg Collection. John Armstrong to Hon. William Marsh, esq., May 7, 1865, John Armstrong Collection, ALPLM. “The National Calamity,” Daily Illinois State Register, April 15, 1865. “As is known, President Lincoln was not our first choice,” the editor wrote three days later, “but we have watched his recent course and are convinced that his energies were given to restore peace to the country and union to the nation.” Daily Illinois State Register, April 18, 1865, quoted in Power, Abraham Lincoln, 129. “One of the most striking signs of the times is to be found in the remarkable conversions which have taken place since the assassination of President Lincoln. . . . How deep and poignant must be the sorrow of those who, only a few months ago, denounced Abraham Lincoln, in the language of the assassin Booth, as a ‘tyrant’ and ‘usurper,’ we leave our readers to imagine.” “Remarkable Conversions,” Daily Illinois State Journal, May 2, 1865. This phenomenon was not strictly a Springfield development. Across the country, historian John Barr argues, “By identifying him as a martyr-saint in the immediate aftermath of his assassination, the majority of Americans willfully and collectively forgot the controversies and hatred that surrounded the sixteenth president in his lifetime.” Loathing Lincoln: An American Tradition from the Civil War to the Present (Baton Rouge: Louisiana State University Press, 2014), 57.This was especially true in Springfield, as funeral organizers emphasized Lincoln’s role in preserving the nation at the expense of highlighting any connection he had to ending slavery. By minimizing the local black reaction during the preparations and actual ceremony—“Colored Persons” took up the rear during the coffin and funeral processions—white Springfield Democrats were more likely to join their Republican neighbors in promoting Lincoln’s legacy. “Obsequies of President Lincoln,” 1865, Lincoln Collection, ALPLM. “President Lincoln’s Last Speech in Springfield—Affecting Reminiscence,” Daily Illinois State Journal, April 17, 1865. Edward L. Merritt, “Recollections of the Part Springfield Bore in the Obsequies of Abraham Lincoln,” Transactions of the Illinois State Historical Society 14 (1910), 179. “The City,” Daily Illinois State Journal, April 17, 1865. Records of the First Presbyterian Church, page 3, Lincoln Memorial folder, box 5, ALPLM; “Public Meeting,” April 15, 1865, Lincoln Collection, ALPLM. “Honors to the Dead. Public Meeting in Springfield. The Speeches and Resolutions of the Citizens at Mr. Lincoln’s Home,” Daily Illinois State Register, April 15, 1865. Michael Burlingame, ed., An Oral History of Abraham Lincoln: John G. Nicolay’s Interviews and Essays (Carbondale: Southern Illinois University Press, 1996), 14. Rev. N. W. Miner, “Personal Reminiscences of Abraham Lincoln,” July 10, 1882, N. W. Miner Collection, ALPLM. Emphasis added. David Herbert Donald, Lincoln (New York: Simon and Schuster, 1995), 272. “Honors to the Dead. Public Meeting in Springfield. The Speeches and Resolutions of the Citizens at Mr. Lincoln’s Home,” Daily Illinois State Register, April 15, 1865; Merritt, “Recollections,” 179–81. 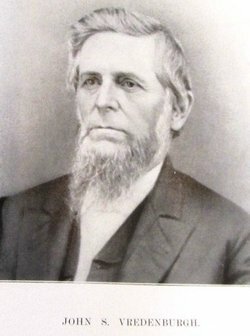 Mark A. Plummer, Lincoln’s Rail-Splitter: Governor Richard J. Oglesby (Urbana: University of Illinois Press, 2001), 107–9; Hickey, “Springfield, May, 1865,” 28. “Disposition of the Remains of President Lincoln,” Daily Illinois State Journal, April 18, 1865. Speculators also quickly began buying up all available “land surrounding the Mather estate” since “every foot of ground adjacent would have been so much gold.” Not surprisingly, these individuals would soon be frustrated when Lincoln’s remains were placed in Oak Ridge Cemetery. See “From Springfield. The Landsharks Disappointed—Capt. Robert Lincoln—The Appearance of Springfield,” Chicago Tribune, May 6, 1865. “From Springfield. Arrival of the Lieutenant Governor—Meeting of State Officers and Citizens—Arrangements for the Funeral Obsequies—The Last Resting Place,” Chicago Tribune, April 18, 1865. While sometimes able to account for information that the federal census omitted, state censuses frequently raised questions over accuracy due to their irregularity and the random data they often compiled from state to state. Adding to these suspicious figures, the 1865 records took place with military and war-related personnel streaming in and out of the capital city. Records of the First Presbyterian Church, page 6, Lincoln Memorial folder, box 5, ALPLM. See also J. C. Power, History of Springfield, Illinois(Springfield: Illinois State Journal, 1871), 17; The Charter, with the Several Amendments Thereto; Various State Laws Relating to the City, and the Revised Ordinances of Springfield, Illinois (Springfield, Illinois: Steam Press of Baker and Phillips, 1865). For an excellent example of boosterism, see Don Harrison Doyle, The Social Order of a Frontier Community: Jacksonville, Illinois, 1825–70 (Urbana: University of Illinois Press, 1978), 18, 225–26. 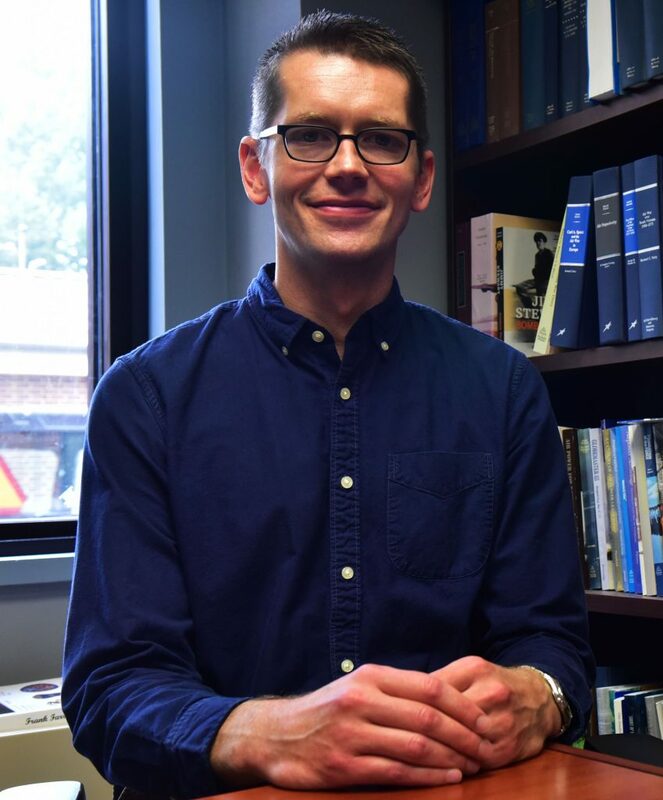 Doyle’s work analyzes the growth and development of Jacksonville, a town thirty miles west of Springfield. He follows the efforts of local boosters to create—but ultimately fail to build—a large city in the emerging Midwest. To achieve this end, boosters set their respective communities against others in the area with the goal of obtaining one or more of such institutions as the state capital, a state asylum, a county seat, railroad lines, and a state university. Any of these, the logic went, guaranteed future stability and possible growth for a city or town. Kenneth J. Winkle, The Young Eagle: The Rise of Abraham Lincoln (Dallas: Taylor, 2001), 179. Christopher Elliott Wallace, “The Opportunity to Grow: Springfield, Illinois, during the 1850s” (Ph.D. diss., Purdue University, 1983), ix, 35–42. See also Robert E. Coleberd, “John Williams: A Merchant Banker in Springfield, Ilinois,” Agricultural History 42, no. 3 (July 1968), 263–65. Ernest Seth McLain, “A Study of the Population of Illinois from 1860–1870” (MA thesis, University of Wisconsin, 1912), 11–12. Power, History of Springfield, 17–18. “Shall Illinois State University Be Removed from Springfield!” Daily Illinois State Register, March 8, 1861; Harry Evjen, “Illinois State University, 1852–1868” Journal of the Illinois State Historical Society 31, no. 1 (March 1938), 54, 71. The college closed in 1868. Mark R. Wilson, The Business of Civil War: Military Mobilization and the State, 1861–1865 (Baltimore: Johns Hopkins University Press, 2006), 13; Mark Hubbard, ed., Illinois’s War: The Civil War in Documents, The Civil War in the Great Interior (Athens: Ohio University Press, 2013), 57. “Twenty-Fourth General Assembly,” Daily Illinois State Journal, January 7, 1865. “Conditions of the Streets,” Daily Illinois State Journal, January 14, 1865; “New Hotel,” Daily Illinois State Journal, January 15, 1865; “Work Commenced,” Daily Illinois State Journal, April 19, 1865; Sarah F. Prescott Sleeper to “Mother,” April 1865, Sarah F. Prescott Sleeper Collection, ALPLM; “Where Shall We Locate the Capital?,” Chicago Tribune, January 22, 1865; “The State Capitol,” Daily Illinois State Journal, February 8, 1867. Edward L. Baker to William Bailhache, February 2, 1865, Bailhache-Brayman Collection, ALPLM. “Local Notices,” Daily Illinois State Journal, January 20, 1865. “New Hotel,” Daily Illinois State Journal, January 20, 1865. For criticism of the Springfield hotel bill, see “Our Springfield Letter,” Chicago Tribune, January 21, 1865. For more on the relocation of other state government institutions during the same legislative session, see Arthur C. Cole, The Centennial History of Illinois: The Era of the Civil War, 1848–1870, 3 vols. (Springfield: Illinois Centennial Commission, 1919), 3:351. Springfield leaders also submitted a bid for a new state penitentiary that year, a proposal that ultimately failed. The city council presented its application for a new statehouse—to be located on the Mather lot—to the General Assembly in 1867. 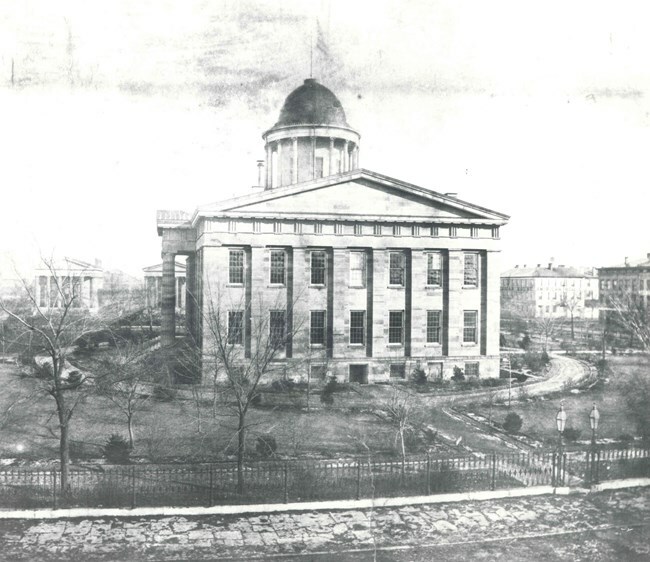 State legislators selected Springfield’s proposal on February 24, 1867, and construction began later that year. Workers completed the project in 1888. For more on the subject, see John Moses, Illinois, Historical and Statistical, 2 vols. (Chicago: Fergus, 1892), 2:768. “Disposition of the Remains of President Lincoln,” Daily Illinois State Journal, April 18, 1865. Minute Book, April 24, 1865, National Lincoln Monument Association (microfilm), 2, ALPLM. My thanks to Glenna Schroeder-Lein for locating this collection and informing me that it had been reproduced on microfilm.The group’s figures fluctuated in its first weeks of existence before settling on fifteen members who agreed to serve “during the first year of its existence.” Articles of Association, and By-Laws, Rules and Regulations of the National Lincoln Monument Association, Organized at Springfield, Ill., May 11, 1865 (Springfield: Steam Press of Baker and Phillips, 1865), 2, 9. The group’s directors were Richard J. Oglesby, Sharon Tyndale, O. H. Miner, James H. Beveridge, Newton Bateman, John T. Stuart, Jesse K. Dubois, O. M. Hatch, James C. Conkling, Thomas J. Dennis, John Williams, Jacob Bunn, S. H. Melvin, Samuel H. Treat, and David L. Phillips. Springfield, Ill., City Council Bond Register, 1837–1886, & City Ordinances for Bond Issues (n.d.), 96; Records of the First Presbyterian Church, page 5, Lincoln Memorial Folder, box 5, ALPLM; “President Lincoln’s Last Resting Place—the Ground Selected,” Daily Illinois State Journal, April 21, 1865; “From Springfield. Arrangements for the Final Obsequies,” Chicago Tribune, April 26, 1865. “The Arrival of the Remains of President Lincoln,” Daily Illinois State Journal, May 4, 1865; Quinn, “Lincoln’s Springfield,” 86. Theodore Calvin Pease and James G. Randall, eds., The Diary of Orville Hickman Browning, 2 vols. (Springfield: Illinois State Historical Library, 1925), 2:20, 23–24. The little-known history over efforts to inter George Washington’s remains in the nation’s capital can be found in Rubil Morales-Vázquez, “Redeeming a Sacred Pledge: The Plans to Bury George Washington in the Nation’s Capital,” in Kenneth R. Bowling and Donald R. Kennon, eds., Establishing Congress: The Removal to Washington, D.C., and the Election of 1800 (Athens: Ohio University Press, 2005), 148–89. Jean H. Baker, Mary Todd Lincoln: A Biography (New York: W. W. Norton, 1987), 248; Plummer, Lincoln’s Rail-Splitter, 109–10. Baker, Mary Todd Lincoln, 257; Jason Emerson, Giant in the Shadows: The Life of Robert T. Lincoln (Carbondale: Southern Illinois University Press, 2012), 119; Jennifer L. Bach, “Acts of Remembrance: Mary Todd Lincoln and Her Husband’s Memory,” Journal of the Abraham Lincoln Association 25, no. 2 (2004), 25–28. Robert Lincoln, the only son to reach adulthood, was buried in Arlington National Cemetery per his widow’s demands. The Lincolns’ second son, Edward, died in 1850 just shy of his fourth birthday and was buried in Springfield’s Hutchinson Cemetery, a few blocks from the Lincoln home. Little Eddie’s remains joined Willie’s and his father’s in the temporary vault in 1865, roughly the same time other bodies were removed from Hutchinson Cemetery and reinterred in Oak Ridge Cemetery. Harry E. Pratt, “Little Eddie Lincoln—’We Miss Him Very Much,’” Journal of the Illinois State Historical Society 47, no. 3 (Autumn 1954), 304–5. Baker, Mary Todd Lincoln, 252. In an 1866 interview with William Herndon, Mary Lincoln later added, “Mr Lincoln up to 1865 wanted to live in Springfield and be buried there—Changed his notion where to live—never settled on any place particularly—intended moving & travelling some.” Douglas L. Wilson and Rodney O. Davis, eds., Herndon’s Informants: Letters, Interviews, and Statements about Abraham Lincoln (Urbana: University of Illinois Press, 1998), 359. John B. S. Todd to John T. Stuart, April 28, April 30, John B. S. Todd to Clark M. Smith, May 1, 1865, John B. S. Todd Collection, ALPLM; Anson G. Henry to John Williams, May 1, 1865, Anson G. Henry Collection, ALPLM. In addition to others already mentioned, see also Stacy Pratt McDermott, Mary Lincoln: Southern Girl, Northern Woman (New York: Routledge, 2015), 127–28; Richard Wightman Fox, Lincoln’s Body: A Cultural History (New York: W. W. Norton, 2015), 109–10; Nancy Hill, “The Transformation of the Lincoln Tomb,” Journal of the Abraham Lincoln Association 27, no. 1 (Winter 2006). Hill described the group as “the insensitive monument association” (41). “Disposition of President Lincoln’s Remains,” Daily Illinois State Journal, May 1, 1865. A.G.H., “From Washington. History of the Selection of the President’s last Resting Place—Why Oak Ridge Was Chosen,” Chicago Tribune, May 9, 1865; Wayne C. Temple, “The Mathers and Lincoln’s Unused Tomb” Journal of the Illinois State Historical Society103, no. 3/4 (Fall-Winter 2010), 369. Robert T. Lincoln to Richard J. Oglesby, May 1, 1865, Lincoln Collection, ALPLM. Robert originally had to persuade his mother to lay his father’s remains in Springfield instead of Chicago. She conceded, but only on condition that she determine their precise placement in town. I have uncovered no other explanation for why Mary Lincoln felt so strongly against the Mather Lot burial, other than it would hold only her husband’s remains. The closest evidence that the former First Lady had ulterior motives can be found in Hannah Lamb Palmer’s account. In 1922 she wrote that progress on the Mather land halted “when Mrs. Lincoln interfered for personal reasons.” John M. Palmer, “The Illinois State Capitol Grounds,” Journal of the Illinois State Historical Society15 (Oct. 1922–Jan. 1923). “The President’s Obsequies,” New York Times, May 3, 1865. 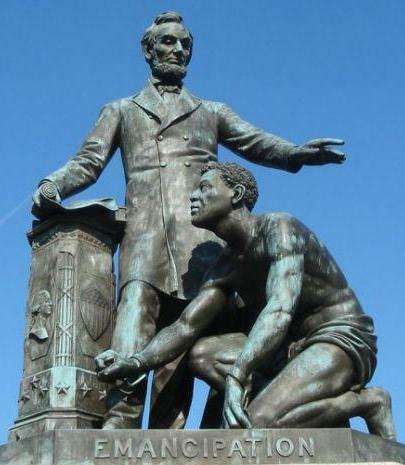 “The Lincoln Monument. When Shall It Be Erected!” New York Times, June 16, 1865; “Special Dispatch to the Chicago Republican,” Daily Illinois State Journal, June 12, 1865 (emphasis added). The Monument Association also resisted Mary Lincoln’s instruction that the deed to the plot be made in her name, believing “that the title should be either in the National Monument Association, or in the State, or in the General Government, and not in any one individual.” See “Special Dispatch to the Chicago Republican,” Daily Illinois State Journal, June 12, 1865. “Address delivered by James C. Conkling at the dedication of Oak Ridge Cemetery, May 24, 1860,” James C. Conkling Collection, ALPLM. 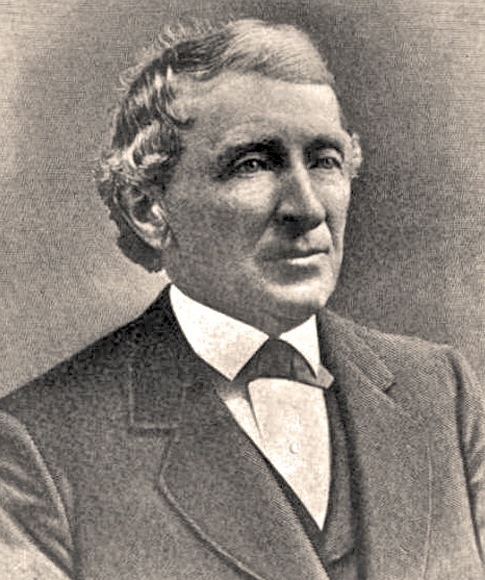 Charles H. Lanphier, longtime Democratic editor of the State Register, persuaded the city council in 1855 to purchase seventeen acres of undeveloped land north of town for the purpose of a new cemetery. That a newspaperman who spent his career challenging Republican policies proposed a cemetery that would hold the remains of the nation’s most recognizable Republican and attract visitors from across the world was but one of the ironies of this episode. 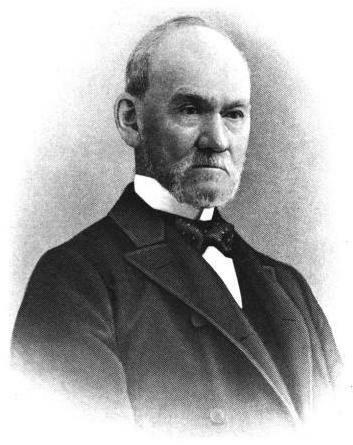 See Thomas J. Craughwell, Stealing Lincoln’s Body (Cambridge, Mass. : Belknap, 2007), 22.For more on the nineteenth-century movement toward rural burials, see David Charles Sloane, The Last Great Necessity: Cemeteries in American History (Baltimore: Johns Hopkins University Press, 1991), especially chapter three. Paul M. Angle, “The Building of the Lincoln Monument,” Lincoln Centennial Association Papers (1926), 23. Robert T. Lincoln to John T. Stuart, May 8, 1865, Lincoln Collection, ALPLM. Henry P. H. Bromwell to family, April 30, 1865, in Harry E. Pratt, ed., Concerning Mr. Lincoln: In Which Abraham Lincoln Is Pictured as He Appeared to Letter Writers of His Time (Springfield: Abraham Lincoln Association, 1944), 129. Julia D. Kirby to Joseph Duncan, May 7, 1865, ibid, 133. Jesse W. Fell to S. M. Cullom, June 1, 1865, O. M. Hatch Collection, fund-raising correspondence, ALPLM; “President Lincoln’s Burial Place,” Daily Illinois State Journal, May 9, 1865. Plummer, Lincoln’s Rail-Splitter, 111. Oglesby made this comment the evening of the funeral. J. T. D., “Proposed National Monument to Abraham Lincoln at Springfield, Ill.,” Scientific American 12, no. 23 (June 3, 1865), 357. The Lincoln Collection in the Abraham Lincoln Presidential Library contains originals of the numerous fund-raising circulars sent by the National Lincoln Monument Association. “President Lincoln’s Burial Place,” Daily Illinois State Journal, May 9, 1865. Angle, “The Building of the Lincoln Monument,” 22. “Where the Monument Is to Be Erected.” Daily Illinois State Journal, May 17, 1865. Mary Lincoln to Governor Oglesby, June 9, 1865, Lincoln Collection, ALPLM. The first deadline warning came in a June 5, 1865, letter, also to Oglesby. Mary Lincoln to Richard J. Oglesby, June 10, 1865, Lincoln Collection, ALPLM. Two days later, Oglesby and Hatch professed “serious regret” that their travels “found its way into the newspapers before we had an opportunity to see and express to you our views and motives.” R. J. Oglesby and O. M. Hatch to Mrs. Mary Lincoln, June 12, 1865, Minute Book, National Lincoln Monument Association (microfilm), ALPLM. Jesse W. Fell to S. M. Cullom, June 1, 1865, O. M. Hatch Collection, fund-raising correspondence, ALPLM; Even for those unable to look past economic incentives, Fell concluded, “it might be well to suggest, that many thousands nay—millions of people will stop & spend a day at Springfield, if the Monument were at Oak Ridge, who, otherwise would pass along the cars, satisfied with a mere R.R. glance of the Structure.” In other words, he argued, a shrine constructed inside the cemetery might prove more valuable to the city’s future prospects after all. See also Thomas Schwartz, “The First National Abraham Lincoln Monument Association, Part 2,” June 22, 2011, From Out of the Top Hat: A Blog from the Abraham Lincoln Presidential Library & Museum, http://www.alplm.org/blog/2011/06/the-first-national-lincoln-monument-association-part-2/. “The National Lincoln Monument,” Daily Illinois State Journal, June 23, 1865. The National Lincoln Monument Association’s Minute Book lists each member’s recorded vote with no further details. Minute Book, June 14, 1865, National Lincoln Monument Association (microfilm), 24–25, ALPLM. John T. Stuart to Mary Lincoln, June 14, 1865, Stuart-Hay Collection, ALPLM. “The National Lincoln Monument.” Daily Illinois State Journal, June 16, 1865. Mary Miner Hill recollections, March 21, 1923, Mary Miner Hill Collection, ALPLM. Edmond Beall, “Recollections of the Assassination and Funeral of Abraham Lincoln,” Journal of the Illinois State Historical Society5, no. 4 (January 1913), 489. “An Illinois Farmer during the Civil War,” 131. “Illinois Legislature,” Daily Illinois State Journal, February 20, 1867; “The General Assembly,” Daily Illinois State Register, February 20, 1867; “The New State House,” Daily Illinois State Journal, January 29, 1867; “The State House Job,” Chicago Tribune, February 21, 1867. “The State Capital,” Chicago Daily Tribune, November 23, 1872. Bach, “Acts of Remembrance,” 27–28. Angle, “The Building of the Lincoln Monument,” 56; Hill, “The Transformation of the Lincoln Tomb,” 47–48. Hill, “The Transformation of the Lincoln Tomb,” 49. Originally published by Journal of the Abraham Lincoln Association 38:1 (Winter 2017, 14-42) under the terms of a Creative Commons Attribution-NonCommercial-NoDerivs 3.0 Unported license.